The meter has to be a size 8 (1/2" nominal size) or larger and of course the flow meter has to be capable of measuring the flow of the different fluid. 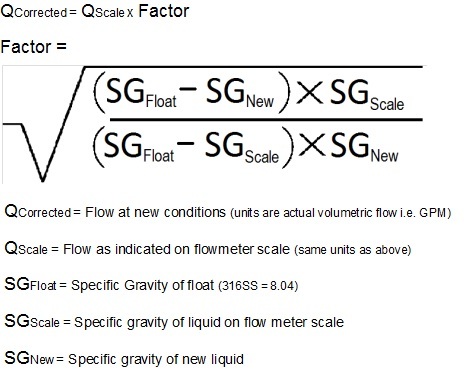 If the new specific gravity is drastically different, the meter may not be capable of registering a flow rate for the new fluid. If your experiment is successful, I recommend you get a meter so you don't have to calculate the flow rate every time you use the different fluid.